All aboard the Ghost Ship to Crab Mountain! Firegarden's forthcoming album is planned to be over an hour in length and features a diverse set of brand new material unified by that classic Firegarden style. Songs include the Black-Sabbath-meets-King-Crimson event horizon of Crabs, the pop funk of Magic, the ecstatic rock of Mountain, and the extended prog collages Pigeons and Incomplete, both of which contain more material than many other albums. 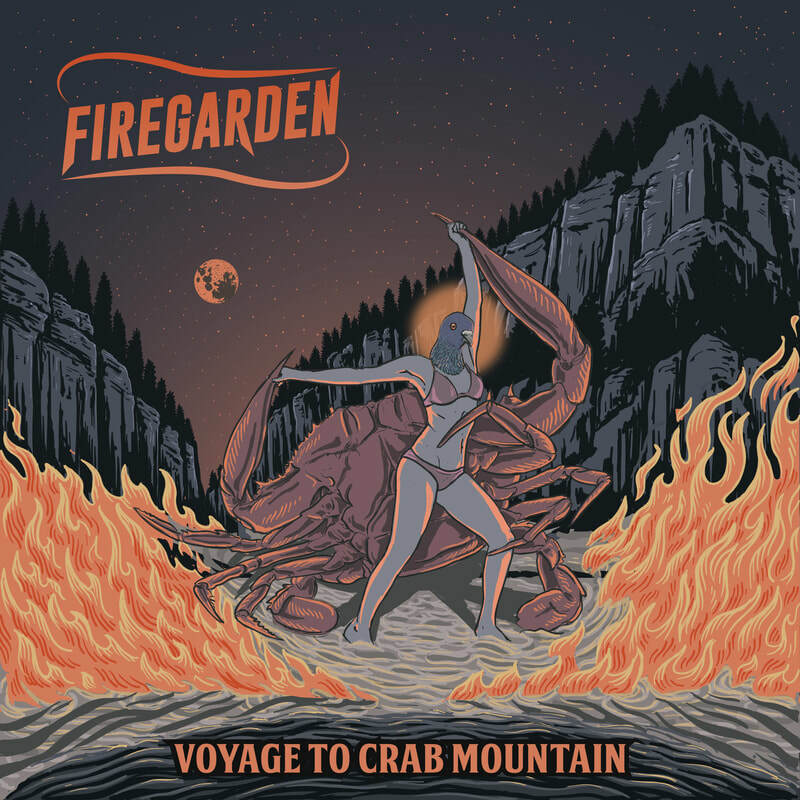 Voyage to Crab Mountain is a prog 'n' roll journey underscored by loss but anchored on the energy and enjoyment of the shared experience of Rock and Roll. The Voyage is perilous but good times are guaranteed. Hot damn I am excited. Firegarden's 1649 EP represents the cream of a year's worth of songwriting undertaken between heavy gigging commitments. As mixing was being concluded, it became apparent that this would be Andy Key's last contribution to Firegarden, and as such 1649 stands as final testament to the four-piece line up of 2014-2017 that recorded the Choose Your Own Adventure album. 1649 rips through the speedy "Ride the Storm", the AC/DC meets Deep Purple earworm "Borderline", the riffing and funking "1649" with its extended coda, and finishes on the proggy "Queen" featuring guest vocals by Ferret from Skyligers. Get ready to party like it's 1649!